I first wrote about bullying back in 2006 and even before. Now, more than a decade later, it is still a deeply troubling subject. A society that has long tolerated many insidious forms of bullying is still having trouble accepting its worsening reality and its devastating results. Society as a whole is especially unwilling to grasp that members of our own families can be and are involved in bullying, as perpetrator or victim. Sometimes a person is both. That is, they’re being bullied at home. In turn, they go out in the world to bully other children, or co-workers, or their own employees, or even customers! Of course, the reverse may be true. A person might be getting bullied while away from home and then goes home to bully spouse, siblings, kids or pets. Well-publicized suicides by younger teenagers and a few of the school shootings this past year and earlier have shone light on the often-terrible results of bullying. Victims of bullying need competent help before they act out their suppressed hurt and rage, if anyone will listen to them in the first place. But does that mean any little witchy, jealous schoolmate has the right to shove someone else over the edge because he or she doesn’t like the way the person looks or acts? I don’t think so. I am not in any way condoning the behavior of those who terrorize innocent people, but sometimes you can see it coming for years. By the time kids get to high school at the latest, bullying seems to be part and parcel of school life, as just one example. But it starts much earlier in life. Unless older relatives have shown a child how to develop sufficient self-esteem to stand up to those with low or no standards of decent behavior, he or she is in for a rugged time. Teachers and administrators may be of little help and may be a big part of the problem. Blind to reality, like some parents, they refuse to accept that bullying is happening on their watch. So that lousy teacher who’s been getting away with disgusting abuse of students for years is not on anyone’s radar? (And what happens on the sidewalk in front of schools is not your concern either?) Time to get out of your cushy offices and start paying attention! When apathetic voters finally get riled up, school boards get shaken up. They’re all lucky I don’t have kids in the current school systems. I’d be a holy terror at PTA meetings, the way some parents have been forced to become. Harper Valley’s got nothing on what they uncover in too many towns. Perhaps I feel so strongly about this because I spent some of my early years being bullied by rural schoolteachers. In turn, I was keenly aware of new, dirty gypsy children being bullied in our schoolyard by classmates. I spoke up to defend them because no one else would. At that same elementary school, another girl who supposedly came from a classier home, bullied my younger sister. Needless to say, her parents defended her behavior… the bratty child who could do no wrong and who didn’t get help when she needed it. I sometimes wonder what kind of woman she became and what kind of kids she has raised herself. Bullying crosses all socio-economic strata, all caste systems, and pretty much all age groups. Parents have to be watchful that their toddlers aren’t becoming bullies – so early!! Parents or caregivers also have to make sure their little munchkins are not allowing siblings, relatives or other playmates to bully them. For children too young to express themselves, it’s an awesome task for parents to catch what’s happening, to intervene and to teach correct behavior. My hat is off to all of you. Don’t let your child grow up to be a civilian Drill Instructor! Or the DI’s victim. One of the worst aspects of bullying is that it happens in all environments. College hazing, supposedly outlawed but still alive and well, is nothing more than bullying in some of its worst forms. Personally, I think any student involved in any form of hazing — even if it happens at an off-campus fraternity or sorority house — should be kicked out of college, and banned from enrolling at any other brick-and-mortar institution of higher learning. Let them get their degrees online, if they actually have the motivation to study and earn diplomas. Let deserving students who want to get ahead in life have the opportunity to take classes, finesse difficult professors, and network on campus. Bullying of the elderly is despicable yet widespread. It happens in private homes and in assisted living, if you’re not careful to be your loved one’s champion. Nursing home standards are still not always where they should be, so check out great websites like www.caring.com and others for their advice. 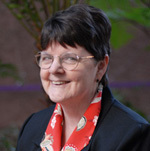 Some of the additional websites include www.caregiving.org and www.caregiving.com, as well as www.caregiveraction.org and http://www.aarp.org/home-family/caregiving/. Banks, notaries public, and law offices see many forms of attempted financial bullying of the elderly, and specific employees are trained to spot it and report it without bringing further harm to the victim. Sadly, some cases get by these officials but they are in a very sensitive situation, especially when it’s obviously a son/daughter or nephew/niece trying to rip off the parent, grandparent or other relative. The latest high-profile bullying to reach the headlines often involves cyber-bullying. We can’t even have a Facebook or Twitter account without someone posting threats to our lives and our livelihood. They think they are so clever and so powerful, when in fact they are stupid and arrogant, representing the bottom of the gene pool in intelligence. Some of them needed psychiatric help and didn’t get it or refused to cooperate. All men and women are only born equal in the sight of God who treasures every single one of His children. That said, everyone has the right to make their own choices, even foolish ones, and live with the consequences. That must often bring immense heartache to our Father in Heaven who expects so much more from us. For a terrific rebuttal to a different form of online bullying, check out this Wisconsin TV news anchor’s WOW! response to a critic who attacked her on her WKBT station’s news show for daring to be overweight. Way to go, Jennifer Livingston! 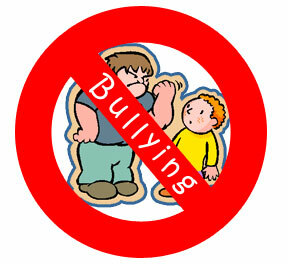 For additional reflections on bullying, my earlier article is reprinted at eZine Articles .